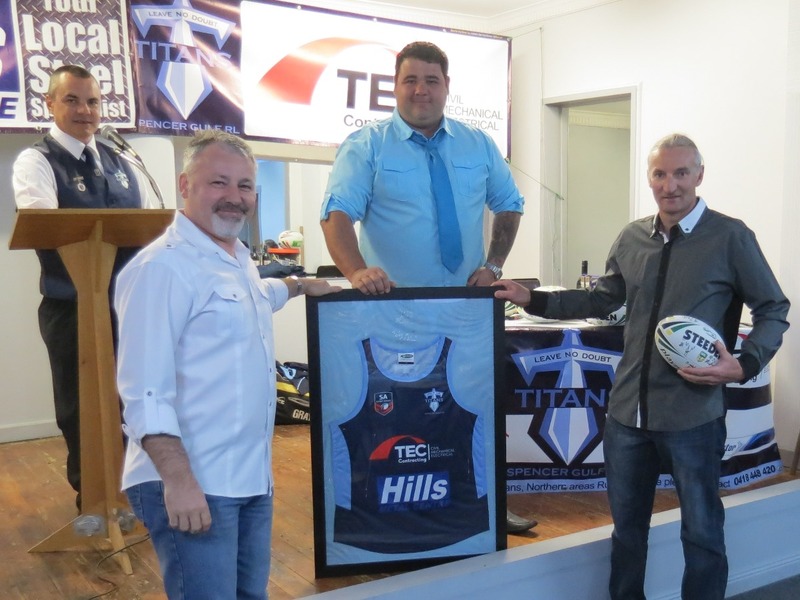 Following a fantastic season which saw the TEC Titans make it all the way to the semi finals in the SA Rugby League competition an award night was recently held in Port Pirie to celebrate. TEC Managing Director Grant Dempsey (right) and Commercial Manager David Daw receive a training jumper and signed ball from TEC Titans representatives Andrew Unger and Aaron “Frog” Harre. 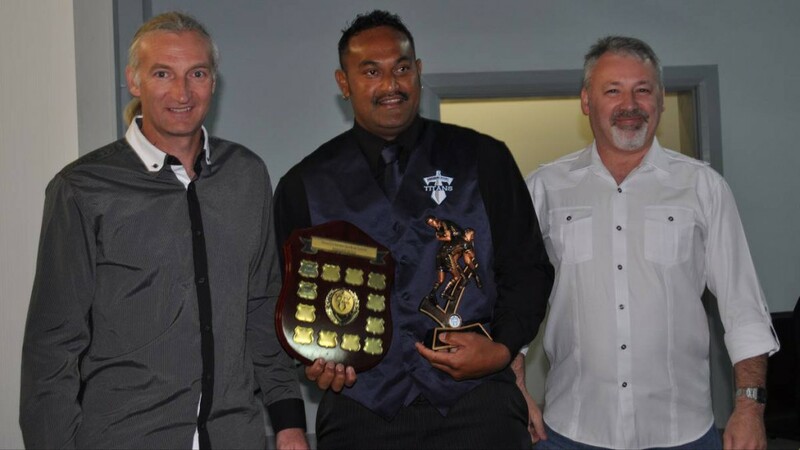 Grant Dempsey (left) with footballer of the year Telea Alofa and David Daw. 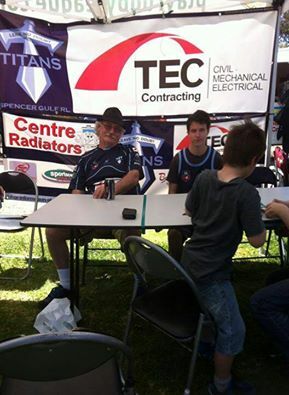 The TEC Titans booth at the recent Nyrstar Picnic day. TEC awarded Nyrstar early works and tie in packages. TEC Contracting is proud to announce that they have been awarded the Early Works and Tie In packages for the Nyrstar Transformation Project in Port Pirie, SA. These early packages indicate the commencement of the construction phase of this high profile project with work commencing within weeks. With local knowledge and an experienced team in place TEC Contracting is confident of delivering on both budget and timeline targets. TEC Contracting has successfully completed the Achilles Audit. This major milestone now enables TEC to work in the oil and gas industry for companies such as Santos, Chevron, Senex and the like. Congratulations to the entire team in a terrific result. Regen Water recycle to CO Quench tower. TEC Contracting welcomes Matt Scanlan as the new Construction manager. Matt has been in the Electrical and Construction field for over 25 years and now leads our construction team going forward. 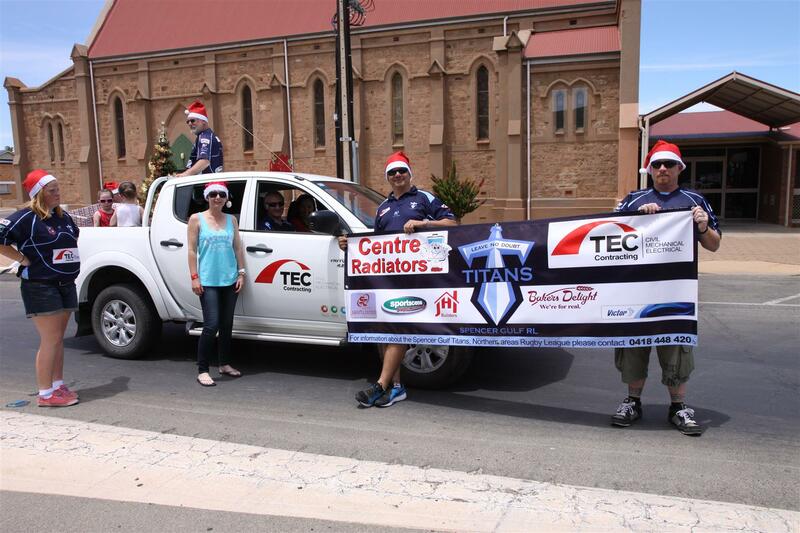 Grant Dempsey and the team recently took part in the Port Pirie X-Mas pageant. Grant is pictured with members of the TEC Titans who handed out presents to the large crowd.